You’ve spent weeks pouring over numbers and charts in order to create a review of your company’s performance over the past year with its shareholders. The numbers may speak for themselves but not everyone understands statistics and standard deviation. How do you share your findings in a way most people will understand? 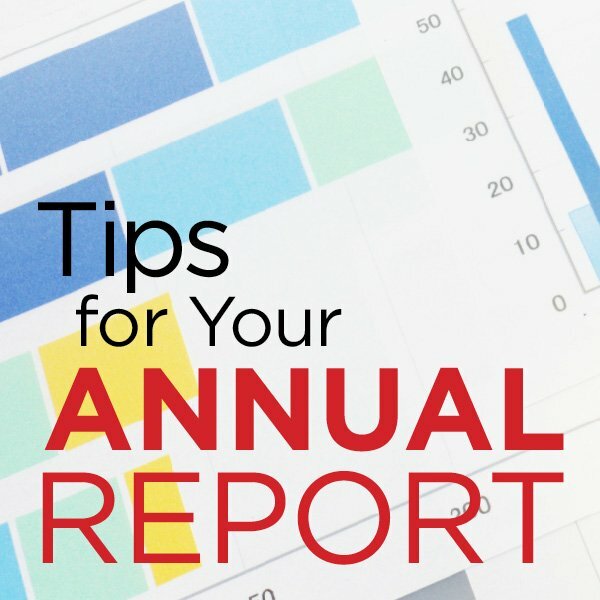 How do you present your annual report so people want to pick it up and review it? While many stakeholders want to know how your company did, they don’t have a lot of time. Use quality copy but not a lot of it. Avoid getting too technical and break it down into easy to consume content. Those invested in your company want to know where it is headed and how it will get there. Make sure to state your mission statement but also have the voice of the report share the vision of the company. Include possible struggles and how effective the company will be at overcoming them. Financial statements can be dull – most people will skim over them. Using charts and graphs presents them quickly and in a visual manner most people can understand. Imagery not only helps to bring life to a page but it shows the human aspect of your company. Include candid photos of employees working, eating lunch together, laughing, helping in the community. This helps to tell your company’s story. The team at Mitchell Graphics can help you design and print your company’s annual report. Reach out to one of our account managers today to discuss your annual report production.